New Referral for Philippines Healthy Track! 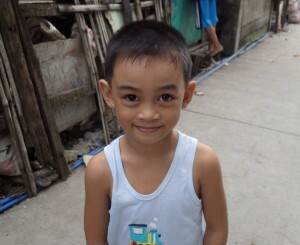 We are so happy to announce that we have just received another referral for our Philippines Healthy Track adoption program! If your family is interested in adopting a healthy child from the Philippines, this is the perfect time to get started! CAN’s Philippines adoption programs have continued to grow over the past few years, offering families a stable adoption process with a variety of options, including Healthy Track, Waiting Child, and Relative adoptions. There our countless reasons that our families choose to pursue Philippines Healthy Track adoptions, however, typically it comes down to the age range and health of the child that they are hoping to bring into their family. In addition to a short and simple travel period, this program provides families with the opportunity to be matched with a medically healthy child between the ages of 2.5 and 15 years old, however, they must be open to the possibility of being matched with a child of either gender. If your family feels strongly about being matched with a child of a specific gender, we would encourage you to look into our Philippines Waiting Child program. Families in this program have the opportunity to look for their child on the Philippines’ Special Homes Findings List which is released each month. This list has pages and pages of Waiting Children that are in need of loving Forever Families. These children are not matched with families through the Healthy Track program as they are considered more difficult to place based on the fact that they are part of a sibling group, they have a need of some sort, or they have had a difficult past and are in need of a family that is ready to help them move forward. Contact our CAN Matching Specialists today to learn how you can start your Philippines adoption journey! Join CAN’s Private Philippines Facebook Group! *Due to the privacy policies in place by the Philippines, the picture shown is a stock photo.